| Roller Blinds, Roman Blinds, Blackout Blinds, Vertical Blinds, Eco Blinds, Plantation Shutters, Perfect Fit Blinds, Conservatory Blinds, Sunroom Blinds, Blinds Pleated Blinds, Vision Blinds, Wooden Venetian Blinds, Aluminium Venetian Blinds, Silhouette Blinds, Velux , Keylite and Roto Roof Blinds, Curtains and Roman Blinds. Roller Blinds, Roman Blinds, Blackout Blinds, Vertical Blinds, Eco Blinds, Plantation Shutters, Perfect Fit Blinds, Conservatory Blinds, Sunroom Blinds, Blinds for Mobile Homes, Pleated Blinds, Vision Blinds, Wooden Venetian Blinds, Aluminium Venetian Blinds, Silhouette Blinds, Velux , Keylite and Roto Roof Blinds, Curtains and Roman Blinds. If you’re looking to give your home a face-lift, need a little more privacy or want a consultation for your new home First Choice Blinds can help. We supply a wide range of blind types many of which you may be familiar with, many that you will not. We are a truly local company & we pride ourselves that we can supply everything that can be sourced or found in any large city. Our wide range of blinds include; Roller Blinds, Roman Blinds, Blackout Blinds, Vertical Blinds, Eco Blinds, Plantation Shutters, Perfect Fit Blinds, Conservatory Blinds, Sunroom Blinds, Blinds for Mobile Homes, Pleated Blinds, Vision Blinds, Wooden Venetian Blinds, Aluminium Venetian Blinds, Silhouette Blinds, Velux , Keylite and Roto Roof Blinds, Curtains and Roman Blinds. We also offer a fitting only service for your own supplied blinds and curtains and will also retro fit child safety devices to previously fitted blinds. First Choice Blinds have been in business for many years & we understand that value for money, quality and service is important to all our customers. We always supply quality blinds at great value, backed up by a service level that is 2nd to none. 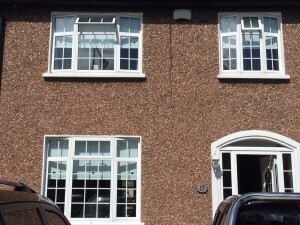 First Choice Blinds normally cover an area around south dublin Terenure,Templeogue,Walkinstown,Perrystown,Greenhills,Tallaght,Templeogue,Rathfarnm,Dundrum,Sandyford. However, if you are outside this area and would like a quote please give us a call to discuss.